VirtualC64 v2.4 is released. 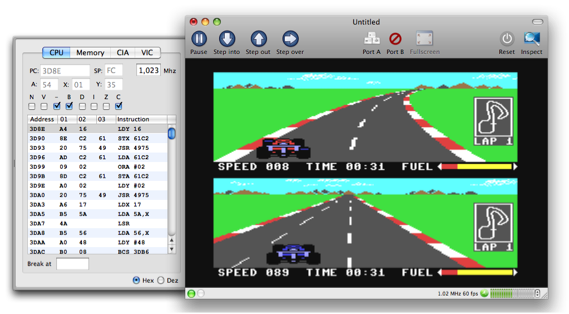 VirtualC64 is a C64 emulator for Mac OS X from Dirk W. Hoffmann. VirtualC64 emulates a Commodore 64 personal computer on your Macintosh. * Added a virtual keyboard to the toolbar. * Added a second VC 1541 drive to the virtual hardware. * Added support for the Freeze Frame cartridge. * Fixed a bug that prevented the fast loader of the Action Replay 4 cartridge to work properly. AR cartridges with higher version numbers still have issues though.